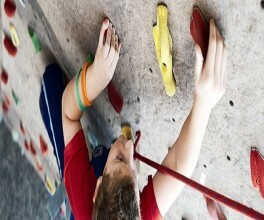 In an encouraging atmosphere, climbers will be supported in working towards achieving personal climbing goals. Climbers will learn and work on lead climbing, lead falls, advanced technique, route setting boulder problems, and how to choose and buy your own gear. This class is designed to be taken multiple times and is for aiming to climb at the 5.10 level and up.